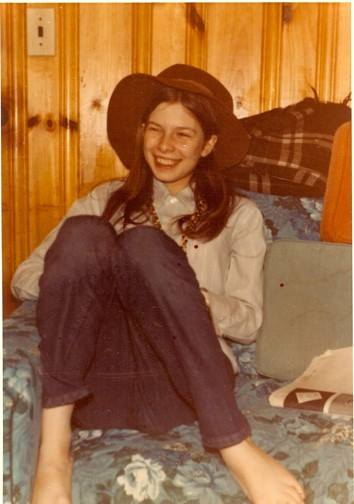 Forty-seven years ago at 3:15 a.m. on Jan. 25, 1972, Nan Freeman, 18, a native of Wakefield, Massachusetts and a student at New College in Sarasota, Florida, was picketing with striking farm workers at the Talisman Sugar Plant on U.S. Hwy. 27, about 20 miles north of Belle Glade, Florida. Nan and four fellow students responded to appeals for help from the strikers who were two weeks into their walkout. Nan and her friend, Pam Albright, were doing volunteer work for the UFW on campus. Pickets had complained to police about scab drivers speeding by the picket lines through stop signs at the plant gates to splash rain and mud on the workers. Nan, Pam and UFW organizer Jose Romero were at the gate trying to leaflet and talk with drivers as they entered. A double trailer truck carrying 70,000 pounds of struck sugar cane drove into the entrance, but the truck and trailer were not properly aligned and the trailer cut too sharply. Jose pushed Pam out of the way, but as he turned to Nan, he saw the side of the trailer loaded with cane hit and knock her into a guard railing. She was taken to a local hospital and pronounced dead on arrival at 4:19 a.m. The death of such a promising young woman was a blow to her parents, Milton and Selma Freeman, her older sister Liz and younger brother Nelson. Liz recalls her sister as a happy teenager who loved the Beatles and was also genuinely dedicated to social justice. In addition to activism with farm workers, she did tutoring while in college, was interested in the plight of Native Americans and worked at a halfway house in the Carolinas. Cesar visited the Freemans at their home in Wakefield later that year. On the anniversary of her passing, Cesar held memorial observances honoring Nan. Her family traveled to the farm worker movement headquarters at La Paz in Keene, Calif. for a memorial in 1987, the 15th anniversary of Nan’s death, and then attended ceremonies at the “Forty Acres” near Delano marking the union’s 25th anniversary. There the Freemans planted a tree in Nan’s memory in Richard Chavez Memorial Park on the Forty Acres. Liz Freeman taught school in Philadelphia, where she was also active with farm worker boycotts and picketed supermarkets during the 1970s. She joined strawberry workers and supporters for the a big 1997 UFW march in Watsonville, Calif. Liz took part in a memorial service honoring Nan and the union’s four other martyrs who died during strikes at the UFW constitutional convention in Bakersfield in 2012. In March 2013, the Freeman family joined then-U.S. Secretary of Labor Hilda Solis, UFW President Arturo Rodriguez and Cesar Chavez Foundation President Paul Chavez for a ceremony at the department’s Washington, D.C. headquarters. There, Secretary Solis inducted Nan Freeman and the UFW’s four other martyrs into the department’s prestigious Labor Hall of Honor. Nan’s father, Milton Freeman, elderly and in a wheelchair, witnessed the honors for his daughter. He died in 2016. Cesar Chavez visiting the Freemans in Massachusetts in August 1972. 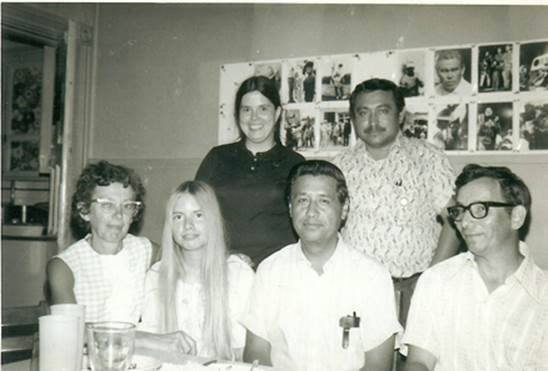 Seated from left are Nan’s mother, Selma Freeman; Pam Albright, who was with Nan when she died; Cesar; and Nan’s father, Milton Freeman. Standing are Andrea and Marcos Munoz, head of the UFW Boston Boycott Office.